The measures enumerated by the Taj Trapezium Zone (TTZ) authority in its affidavit was interim in nature and some long-term plan was needed for protection and preservation of the historical Mughal-era mausoleum. 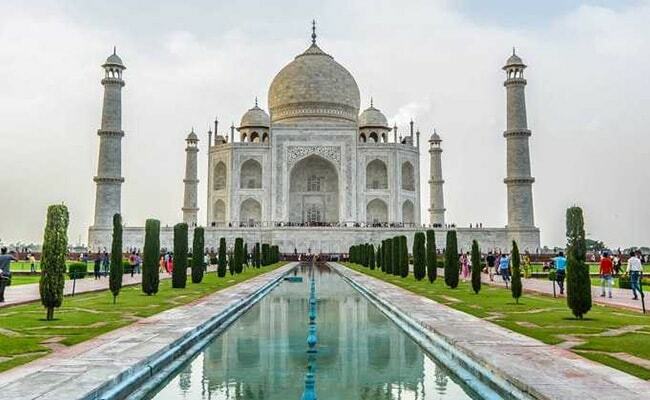 New Delhi, India: The Supreme Court today sought a detailed and comprehensive document to protect the medieval era monument Taj Mahal for at least the next 100 years. Terming as "ad hoc", the measures enumerated by the Taj Trapezium Zone (TTZ) authority in its affidavit, a bench headed by Justice M B Lokur said the document submitted was interim in nature and some long-term plan was needed for protection and preservation of the historical Mughal-era mausoleum. TTZ is an area of about 10,400 sq kms spread over the districts of Agra, Firozabad, Mathura, Hathras and Etah in Uttar Pradesh and Bharatpur in Rajasthan. Additional Solicitor General (ASG) Tushar Mehta placed an affidavit stating the measures to be taken for the protection and preservation of the Taj. A number of measures have been proposed including ban on construction activities within 500 metres from the monument, plying of only CNG vehicles near Taj, sufficient supply of electricity to discourage use of generator sets and complete prohibition of burning of waste and garbage. The top court posted the matter for hearing after eight weeks. Environmentalist M C Mehta, who had filed a plea seeking protection of the Taj from the ill-effects of polluting gases and deforestation in and around the area, had earlier told the bench that the TTZ was an "ecologically sensitive area" and the government should have come out with a comprehensive policy for preservation and protection of the Taj. The apex court, which is dealing with Mehta's petition, has been monitoring development in the area to protect the Taj Mahal, built by Mughal emperor Shah Jahan in the memory of his wife Mumtaz Mahal in 1631. The mausoleum is also a UNESCO World Heritage Site.